6 miles down dirt CA 431 gets you here.The turn-off is about 2 miles North of Rockport. Look for mile post marker 90.88 off HWY 1. An exposed beach with powerful shore break can make launching and landings tricky. Mistake Point appox 4 miles to the North and Rockport Bay appox 6 miles to the South make great destinations. See BASK Lost Coast trip report for more details! These are put-ins that I have used, and maybe totally different when you are there, in other words, paddle at your own risk. 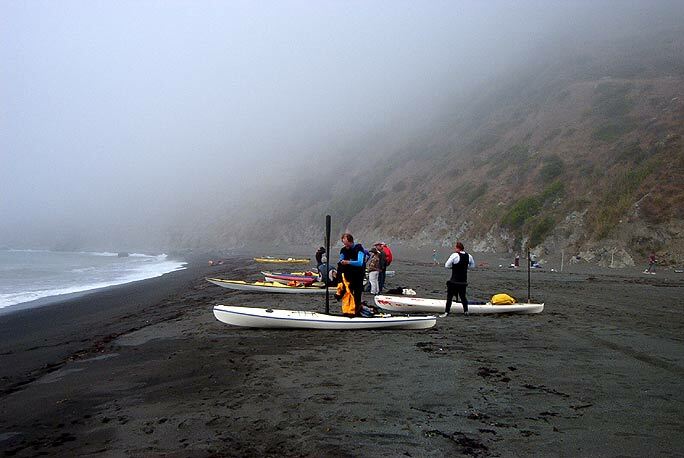 If you want to check weather and ocean conditions before you paddle!